Ten days ago, Zimbabwe's President, Emmerson Mnangagwa, hiked the price of petrol by 250 per cent, making it the most expensive in the world. There had been an acute fuel shortage for months and this move was supposed to ease the situation - presumably by making petrol beyond the reach of most in this impoverished country. Mnangagwa then jetted off to Russia and Kazakhstan, a warm-up tour for his gig at Davos. He left his deputy, Constantino Chiwenga (until recently head of the army), to cope with the fallout. And fallout there was. Trade unions led stay-aways in protest. This developed into the blocking of roads, looting of shops and some arson, mostly by unemployed youths - which most youths there are. Then, under cover of a government-imposed internet blackout, the security forces were unleashed by the vice-president. Roving bands of soldiers (some of them masked, never a good sartorial sign in a soldier) went house-to-house, smashing windows, beating residents at random, stomping on their cellphones. The soldiers killed at least 12 people and wounded another 80 or so. More than 242 people were treated for bite wounds from patrol dogs. Police arrested more than 1,000, including some ten opposition MPs. Soldiers conducted acts of ritual humiliation - forcing young men to bathe in the pools of standing sewage that dot the decrepit working-class townships. And all this by the same soldiers that so many Zimbabweans lined the streets to welcome as heroes when they toppled Robert Mugabe just over a year ago. The line from that moment to this one is straight and simple and predictable. The internal fighting in Mugabe's ruling Zanu-PF party that ultimately unseated him after 37 years in power wasn't primarily ideological or ethnic, it was a family feud on steroids, it pitted old against young. His wife, Grace, made a bid to succeed him. Forty-one years his junior - she was too young to have fought in the liberation war, a sine qua non for leadership for senior party leaders. Her attempt to create a dynastic succession, to emulate Eva Perón, Imelda Marcos (with whom she shared a penchant for shoes, favouring Ferragamo because her feet were ‘too narrow for anything else') or Madame Mao, proved a step too far. Ultimately Grace overreached when she persuaded her increasingly enfeebled husband to fire Emmerson Mnangagwa, then his vice-president and her main rival. This was too much for the military leadership which had close ties to Mnangagwa, as he held defence and intelligence portfolios for much of his ministerial career. Make no mistake, this was a ‘continuity coup', to protect the power of the party's old guard. But most Zimbabweans were so delighted to see the back of Mugabe that they celebrated anyway, even though what they were really witnessing was the renewal of the ruling party's droit de seigneur, its power to screw them at will. 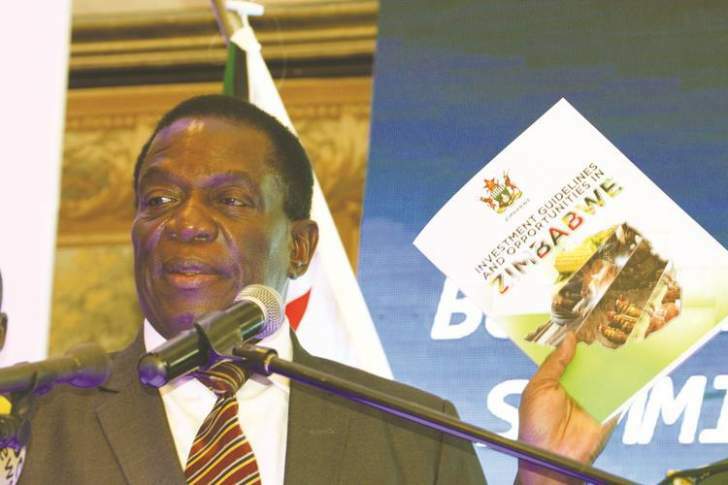 Since his assent, Mnangagwa has tried to present a ‘reformist' face to the world, to rebrand the party as Zanu-PF 2.0, Zanu-PF-lite, non-ideological, technocratic, managerial, open for business. He embraced the rhetoric of anti-corruption but delivered little. How could he? What, for example, of his own corruption, and that of many of his first cabinet: eight of the 22 were on the US sanctions list, united by bonds of massively corrupt self-enrichment and repressive political violence. To believe this new pitch was to fall for a Zanu-PF confidence trick. Mnangagwa, though, has none of Mugabe's undeniable charisma. He headed the feared Central Intelligence Organisation, the CIO, at the time of the Matebeleland massacre, during which the army killed upwards of 20,000 civilians. And he rolled out the terrible reprisal campaign during the post-election violence of 2008, when thousands of opposition supporters were tortured and hundreds killed. Last week, we saw the party reverting to its violent default. So what happens next? Rumours circulating in Harare are that Mnangagwa will be pushed aside by his deputy, General Chiwenga, who led the coup which elevated him. The truth is, Mnangagwa has never seemed entirely at ease as President. He cuts a dreary, uninspiring figure, with the heavy-lidded eyes of a somnambulist. But the time for Chiwenga's move, surely, would have been when Mnangagwa was still eating cake on a Kazakh runway? And Chiwenga is no spring chicken himself. Another possible outcome is a Zanu-PF offer to the opposition of that increasingly common political animal, the wildebeest - a GNU. Governments of National Unity are fast becoming the stock consolation prize for African opposition parties cheated out of electoral victories. One was tried, with modest success, in Zimbabwe after the blood-doused elections of 2008. The opposition partner in that GNU, the Movement for Democratic Change (MDC), was ditched after one term and it may not fall for that trick again. In the meantime, Zimbabwe's economy will spiral downwards, fuelled by gathering hyperinflation. But don't waste your time waiting for Zanu-PF to be booted out at the ballot box. As Stalin was wont to say, it's not who votes that counts, it's who counts the votes. And previous electoral rigging by Zanu-PF has shown just that. In the meantime, Zimbabwe will continue to skitter along the bottom, except for the tiny, ruling elite who are buoyed by their looting. And its most talented sons and daughters will continue haemorrhaging into the diaspora. The size of a country's tragedy should be measured against its potential. Zimbabwe, by rights one of the wealthiest and most educated countries in Africa, is cementing its record as a tragedy of great proportion.